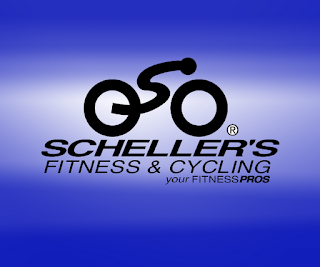 Powerful Trail Ready Mountain Bike: the 2013 Trek 4900 Disc at Scheller's Fitness and Cycling! As a cyclist, and specifically a mountain rider, you know that words can only do so much to describe an amazing bike. The only way to truly know how the bike feels is to ride it around a little and experience it for yourself. We encourage you to come to Scheller's Fitness and Cycling to check out and test ride the 2013 Trek 4900 Disc! 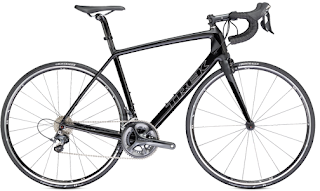 Trek's 4 series bikes are modeled after their XC bikes, using an oversized stem and handlebar to increase stiffness, give confidence, and handle precisely. It's shock absorbing front suspension fork allows the front wheel to travel up and down over bumps while the handlebars remain steady for a comfortable, controlled ride. This is just a part of the reason that the 4900 Disc has Trek's Trail Ready Certification, which means that the frame has passed strict tests regarding durability and impact standards. It is more than ready to handle the rigors of real off-road riding. Probably the best feature on this bike are the handlebar-mounted controls that let you lock out your suspension on the fly, without having to move your hands from the handlebars. As the terrain changes, you'll be ready at the flip of a switch. 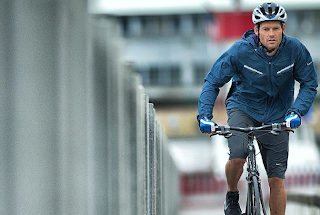 The disc brakes (indicated by the "D" in the model name) offer the absolute strongest stopping power in all conditions, including wet and muddy.